I didn’t read Maus until a few years ago. The story of the author interviewing his father, a Holocaust survivor, about his experiences during the war, was written and serialized in the 1980s. Though it’s not considered to be the first graphic novel, it was the first to win a Pultizer Prize, and it has influenced the way graphic novels have been done since. Wrong Hands is a collection of cartoons about language, culture, society, social media, history, politics … and more. Some things you can do with these cartoons: try to explain the message or what the artist wants to say, explain why they’re funny (or a bit cynical), translate them into Japanese or your major language, and/or talk about similarities and differences in humor — why a cartoon might (not) translate well into another language. Here’s an interview with the artist, about the name of the site and more. This is from “Pyotr Tchaikovsky: In the mood for work” by Zen Pencils. Click on the image to see the whole cartoon strip / comic. For those of you who enjoy translating, try translating one or both of these stories. Or use these as inspiration and make your own comic strip about inspiration. 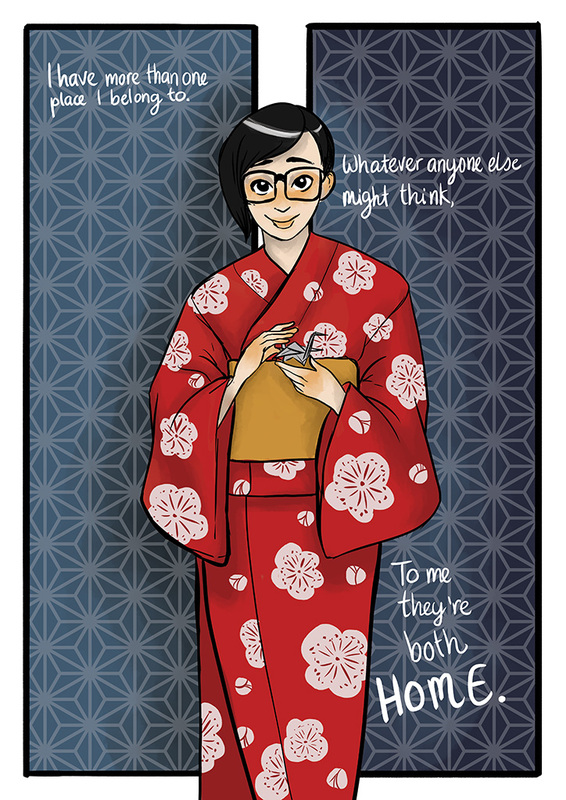 This is a comic about what “home” means to a second generation Japanese-New Zealander. It’s something to think about, especially during this time when the question of immigration is so much in the news. This is just one panel of a longer story. Read the rest here.